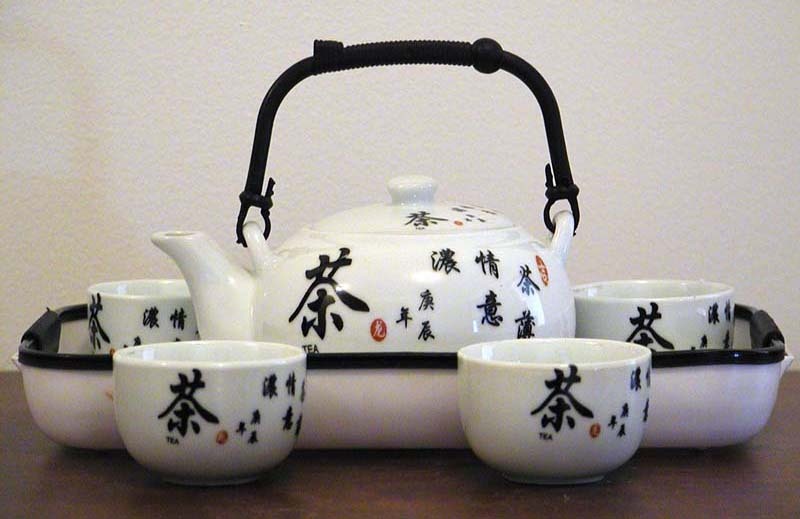 China is famous for its tea, but in order to make and enjoy quality tea, it is also important to have quality tea sets. For people who are on the go and prefer tea bags, we have ceramic tea sets perfect for making a convenient yet nice cup of tea. For people who want seriously make a nice pot of tea and enjoy it for the day, we have something more special--the purple clay (zisha) tea set. Purple clay is not really clay, but mineral deposits found under the ground of certain cities in China. The deposits are grounded with water and filtered to make zisha teapots. Zisha teapots make the best tea because the special zisha paste contains sandy particles, which will make tiny pores on the teapot after it is fired, so the tea in the pot can "breathe." In addition, when the teapot is used everyday, the tea taste and tea oil will soak into the pores, which enhances the taste of the tea. Each part of the zisha teapot, the body, the bottom, the spout, and the cover, are separately hand made. The surface of the teapot is finely smoothed and engraved with calligraphy or other designs using sharp steel knives. The teapot is fired in the churn at around1175 degrees which makes it capable to endure over three hundred pounds of force. When you get a new zisha teapot, you need to wash out or rinse thoroughly the zisha bits in the teapot before using it. If you will use the teapot to drink green tea, put some green tea in the pot, add a lot of hot water, and let it soak for a few hours. After you have used the teapot, you will never need to wash it again. Just rinse off the tea leaves in the pot every time you use it. The more the teapot is used, the more beautiful it becomes. The daily touching, rubbing, and tea making will render the pot shinier everyday.